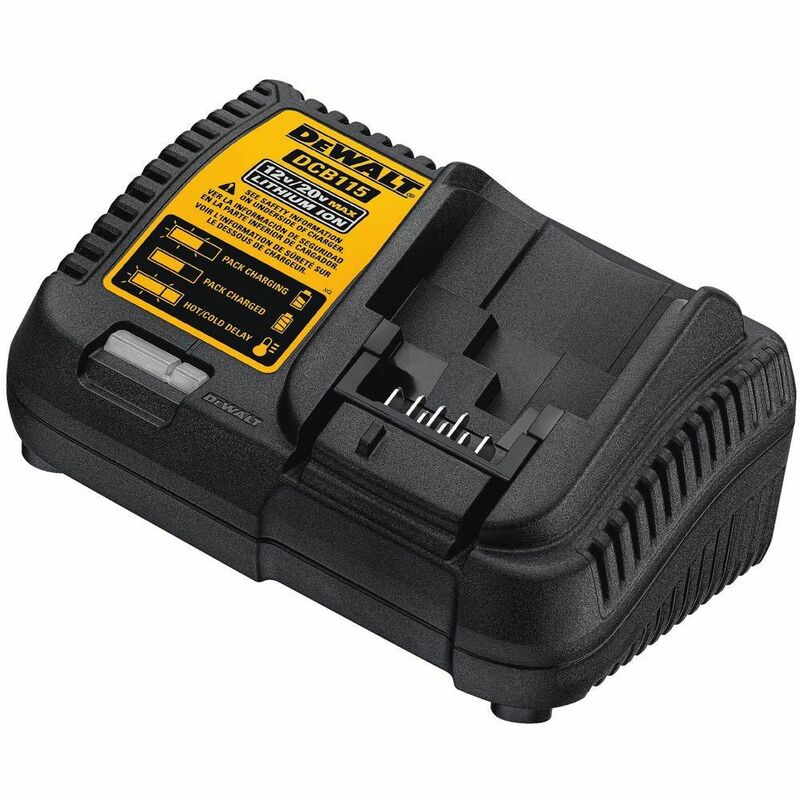 The DeWalt Lithium-Ion 1220V MAX Battery Charger features an LED indicator that conveniently tells you the battery charge status and can charge your slide battery pack in one hour or less. Get back on the road in minutes with the Black & Decker 15 Amp Bench Charger. Vehicle won't start? Battery needs maintenance? Just connect the battery charger clamps to the battery terminal and press charge. The battery charger automatically does the rest for optimum performance. With fast, high frequency technology, it delivers 3-stage charging - automatically switching from fast charge, to top-off, to trickle charge. This battery charger is also perfect for motor homes, jet skis, lawn tractors, generators or vehicles that sit idle for months at a time. One of the most advanced chargers on the market, the Black & Decker Bench Charger features a digital LCD screen that displays charging status and battery status with easy to understand icons. It also includes a patented alternator check to evaluate the battery voltage under load to indicate if the alternator is maintaining battery level. The advanced EGO POWER+ 56V battery uses industry-leading Arc-Lithium technology to deliver Power Beyond Belief and is compatible with all EGO outdoor power equipment. Keep-Cool battery technology keeps each cell cool for long life and work in the most extreme conditions. 1220 V Max Lithium-Ion Battery Charger The DeWalt Lithium-Ion 1220V MAX Battery Charger features an LED indicator that conveniently tells you the battery charge status and can charge your slide battery pack in one hour or less. 1220 V Max Lithium-Ion Battery Charger is rated 4.3 out of 5 by 72. Rated 5 out of 5 by FishFool from I am quite impressed by this charger, which allows you to charge 12v-20v Dewalt batteries. There ... I am quite impressed by this charger, which allows you to charge 12v-20v Dewalt batteries. There is a diagnostic system that lets you know if your battery is being charged or if there may be something faulty with the battery. I am using the charger with some DCB205 - 5Ah 20v Max Lithium batteries and they charged up fast, going from 1-bar on the built-in LED fuel gauge to fully charged in less than an hour. Rated 5 out of 5 by Stew from Good add on to current line of tools Got as gift, but use DeWalt tools daily. Recommend to anyone!!! !